Collaboration is an obvious antidote for inefficiencies in the construction industry, but it’s not an easy solution. Why? Because collaboration can get messy, especially when large building projects require dozens of independent companies—and numerous stakeholders with strong opinions—working together. But better collaboration is a must. In 2004, the National Institute Standards and Technology (NIST) estimated that a combination of inefficiencies—or “lack of interoperability”—cost the industry $15.8 billion annually. As building systems become increasingly complex, there has been more specialization among designers and contractors, and an even greater need to collaborate early to deliver projects on time and within the budget. That’s where techniques such as lean construction and integrated project delivery (IPD) come into play. That buffer has inherently added to waste in the industry, but it doesn’t have to continue that way. 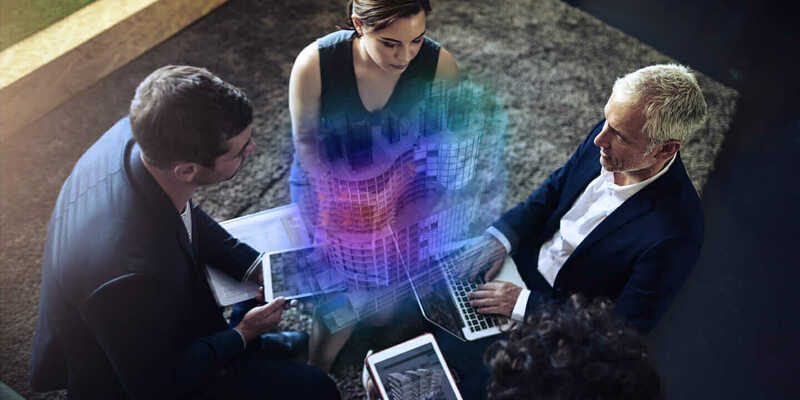 An integrated approach to construction projects that brings key participants together early—using Building Information Modeling (BIM) and the Lean Project Delivery System (LPDS)—subverts this culture of hedged bets and replaces it with one of collaboration. And that in turn reduces waste and increases reliability. 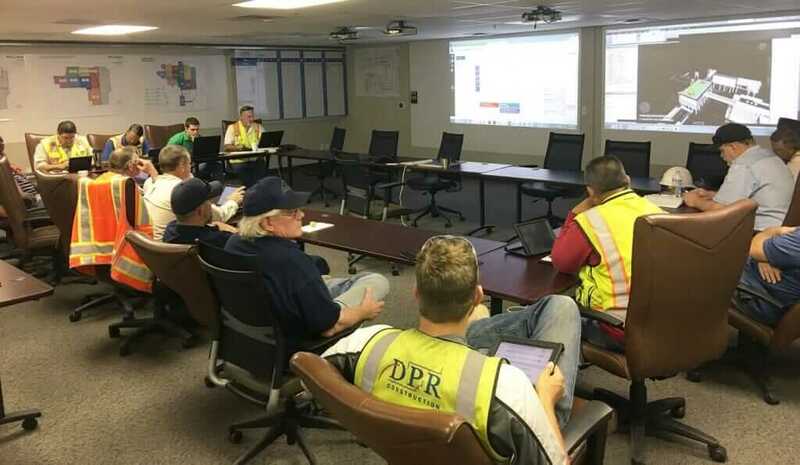 “DPR, and maybe even the industry, is transitioning from a command-and-control mentality to a collaborative, engaging mentality that uses the specialty knowledge of the project participants to reduce the uncertainties,” Britt says. Custom-Built Lean Construction. As any fitness guru will tell you, getting leaner is hard work. For a construction company, it can mean a lot of up-front investment, including increased engagement with team members and rethinking basic processes. However, Britt says a leaner approach can save time and money, and create a better, safer work environment for everyone on the team. “When we’re able to give the workers in the field the tools and the information they need, we know that we’ll be more productive on our projects,” Britt says. In many ways, lean construction is representative of the type of culture DPR has tried to cultivate since its inception in 1990. The company is unique in that it employs several thousand tradespeople and has appeared on Fortune’s 100 Best Companies to Work For. “One of our core values is ‘ever forward’—essentially a continual self-initiated change and improvement,” Britt says. When team members work together to develop and execute a phase plan, they understand each other’s work-flow constraints and ability to complete work as planned, which enables them to rapidly re-plan as necessary. Courtesy DPR Construction. All in the Big Room. Similarly, some of the basic strategies of lean construction, such as colocation, or pull planning (the process of scheduling jobs by working backward from the final person in the chain) often benefit from a more nuanced approach, a lesson DPR has learned along the way. Take the “big room”: the colloquial term for a project’s colocation space. 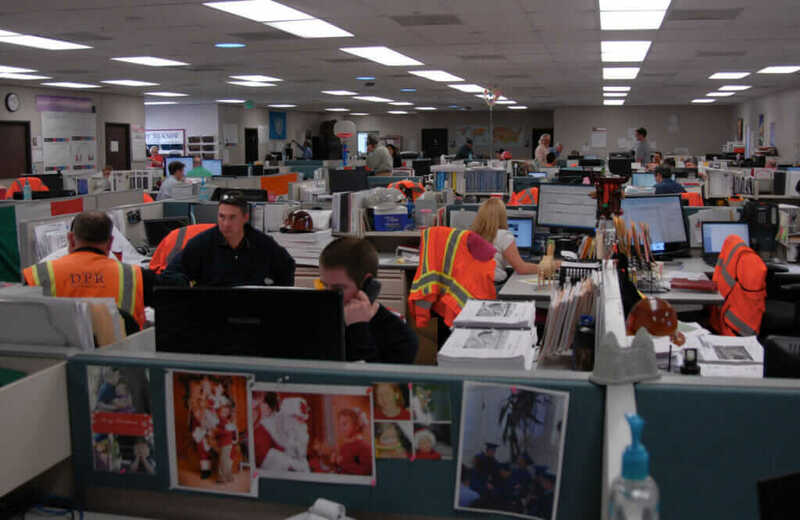 In a recent blog post, Atul Khanzode, who leads strategic technology initiatives for DPR, describes that the open-office environment often used for colocation spaces can be beneficial during the early design and coordination phase of the project. Also, leaders in the big room should change based on the team’s most central player at a given time. At one point in the process, most information will be going through the architect (who should be leading big-room meetings then), and at a later stage, the general contractor should take the lead. On-site colocation spaces, often known as the “big room,” facilitate collaboration because all team members are easily available to answer questions and solve problems. Courtesy DPR Construction.